World as we know it may soon be gone. Processes that are inefficient are going to be replaced with superior technology that is called the blockchain. Blockchain has came into the eyes of wide public with Bitcoins recent rise, touching almost 20 000 dollars high. It sparked the interest of both investors and technology researchers. Blockchain and Bitcoin are not only for the speculation, they are to make lives of everybody for the better. It is going to change everything we do and how we do it. 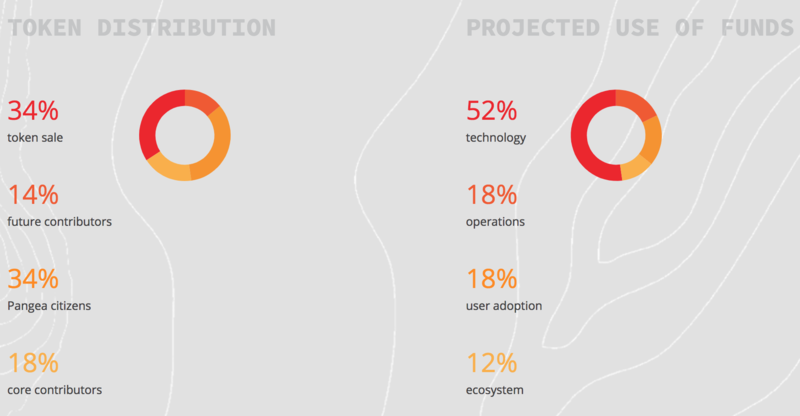 One of those revolutionary projects is Bitnation Pangea ( https://tse.bitnation.co/ ). Pangea is a new kind of platform that I have never seen. It is a jurisdiction and governance platform that will bring people together and help them become a soveirgn nation. Currently our nation and people are invaded by not enough privacy, burecracy and politics, laws that don't have much sense and so on. The same is in my country where laws don't have much sense, and if you want to do something simple you are buried in a ton of papers that need to be filled, that are redundant, and it all takes years. Now Pangea is here to reduce all that nonsense. Pangea will use blockchain tech, built on Ethereum, providing us with smart contracts that can be fitted as you need them, and later executed exactly as you wanted it . They will play a big part in Pangea community, solving disputes and governance easily. It will be a global market for services. PAT will be a native token on the platform that will fuel the Pangea ecosystem. On every step that you complete on platform you get reputation, so you will always know who you are dealing with in Pangea decentralized nation. Later reputation will bring you PAT tokens, when you accumulate enough rep ofcourse. Pangea is revolutionary because you can choose in which nation you want to participate, thus abiding the laws of the nation. Every nation will attract citizens with perks that it has. You too as an individual can start your own nation, set the laws and governance and dispute mechanism! Attract your citizens by fair dealing with their problems. This project has another perk, it is available immediately for the both iOS and android devices. It is not just another idea in the crypto world, you can download it right now! Bitnation Pangea is unique project, differs a lot from the rest of the projects we have seen lately, and it is helping people living ther lives more satisfaying. Pangea is led by Susanne Tarkowski Tempelhof. They have a lot of people in helping them out with their high expertise. Together they have knowledge and ability to fight with every challenge that comes their way.